Senior editor and writer at Tech.eu. Previously, she was an editor at VentureVillage and contributing writer at BetaKit. Originally from Toronto (Canada), Charmaine now lives and works in Berlin. It’s Sunday evening, you’re curled up on the couch with your laptop and all you want to do is unwind with a good film. It’s a nice way to settle down before a busy week begins and – at the same time – feed your mind something (culturally) tasteful, you tell yourself. So you proceed to Netflix, with the help of ZenMate of course, and find yourself browsing through the likes of “Poultrygeist: Night of the Chicken Dead” and “Troll 2” – not exactly what you had in mind. It’s not a good sign for the US-based service’s film selection when The Onion has something to say about it. Then again, there’s always your favourite “Watch Movies Online Free” streaming site but, somehow, none of the featured titles are striking your fancy either. “Our online world is quickly becoming jammed with content. 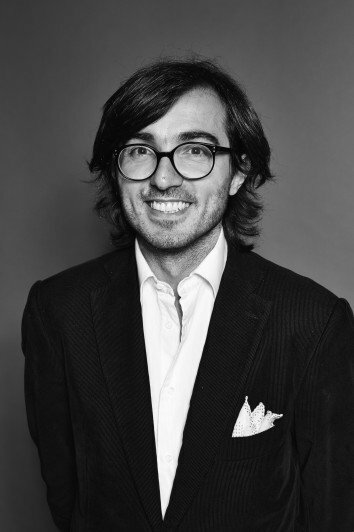 Information and culture is streaming in from all sides and we’re blinded by choice, stuck in the headlights,” posits MUBI founder and CEO Efe Çakarel (pictured on the right) in an email interview with Tech.eu. Despite having offices in Palo Alto, London, Istanbul and Oslo, MUBI – a curated online cinema platform – has remained relatively low-key except for the odd funding announcement since its founding in 2007. Last month, the company raised a $7.5 million Series D round from an eclectic group of investors and VCs, including Mayor of London Boris Johnson, former head of Apple Europe Pascal Cagni as well as Fon founder Martin Varsavsky. The service has also caught the attention of award-winning film director Martin Scorsese, who worked with the company in opening up access to rare and precious films to a wider, global audience through his film preservation and restoration organization, World Cinema Foundation. With seven million registered users, MUBI offers a hand-picked selection of independent, classic and cult films from around the world. A new title is introduced each day by “an in-house team of expert film programmers” and is available to be watched for 30 days across various devices, including mobile, Web, tablet and Sony Bravia TVs. In a digital world where we’re constantly served with subpar options, bombarded with badly-designed experiences, and trivial decisions are increasingly time-consuming, MUBI is breath of fresh air for the realm of video-on-demand. “The idea for MUBI came from a moment on a trip to Japan when I wanted to watch a great movie online, In the Mood for Love, and was shocked it was not available. I quickly realized there was no online destination for terrific cinema, just the usual big companies showing the same big movies you could find anywhere else,” recalled Çakarel, who previously did a stint at Goldman Sachs. Last week, a piece in the New York Times on “Why Movie Streaming Sites Fail to Satisfy” shared a similar sentiment. Just the other day, I heard myself babbling about not being able to find Hiroshima mon amour online. It seems to be a recurring first-world problem anecdote (one you sometimes wish you didn’t have to listen to), so it’s no surprise that the video streaming space is becoming more and more crowded. In February, Netflix announced it was planning to raise $400 million in debt to fuel its global expansion – specifically in Europe. With the American juggernaut closing 2013 with 31.7 million paid subscribers in the US and 9.7 million across its overseas markets, it’s a move that will definitely shake up the European VOD landscape. Currently, the service hasn’t forayed beyond the UK, Netherlands and Scandinavia in the region. In the same month, likely a direct competitive response to Netflix, Amazon-owned European streaming video service LoveFilm rebranded as Prime Instant Video in the UK and Germany. But what makes MUBI interesting in comparison to these dominating players is that it doesn’t try to be a comprehensive ‘everything for everyone’ VOD service. Instead, at €4.99 a month (or less depending on the subscription plan), it concentrates on providing a quality selection of films and curating on a granular level – going so far as to consider what film is playing on what day in what country, and why. Also competing in this particular arena in Europe is Realeyz.tv, a Berlin-operated online arthouse cinema platform. However, one glance at the the respective home pages and you get an inkling of which company will be able to deliver a more user-friendly experience. I dug a bit deeper to see whether MUBI lives up to its claims and it turns out the aforementioned films actually, on average, fare quite well on film review aggregator site Rotten Tomatoes and online database IMDb. It’s about striving towards a balance between known films and filmmakers and unknown, big and small, established genres/styles and new techniques/visions, Çakarel said. But snapping rights to a lot of good movies isn’t easy (or cheap). When asked about the process of acquiring rights Çakarel explained that it’s a long and complicated process, particularly when it comes to older and more obscure titles. “Rights are divided up by territories, so the person who owns the right to screen [Yasujirō] Ozu’s Tokyo Story in France is a completely different to the person who controls the rights in Vietnam. For just one film you could expect to make hundreds of agreements,” he responded. Last year, Netflix claimed spending $2 billion per year on licensing movies and original shows in an attempt to up its streaming content. To put this into perspective, the company pulled in $1.2 billion in revenue during the fourth quarter of 2013. Not only that, the American video streaming giant is beginning to focus on quality, rather than providing a massive library of content that requires users to go on a treasure hunt for decent films. As we’ve gained experience, we’ve realized that the 20th documentary about the financial crisis will mostly just take away viewing from the other 19 such docs, and instead of trying to have everything, we should strive to have the best in each category. As such, we are actively curating our service rather than carrying as many titles as we can. At the moment, MUBI – which seems to have the curating aspect down pat – is localized in 12 countries (the UK, US, Canada, Australia, France, Germany, Italy, Turkey, Ireland, Norway, New Zealand and Mexico) and available in English in over 200 countries. As for the coming months, Çakarel said the company will be rolling out new features and working to localize in new countries – with the Netherlands next on the map. And where does he see MUBI in the next five years? “We’ll be bringing you the world’s greatest films, in the highest quality, wherever you are and on whatever device you choose – that’s the goal,” he answered. 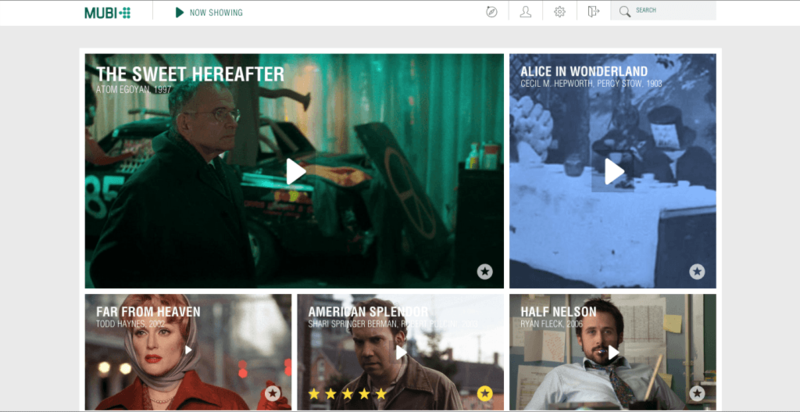 With MUBI’s laser focus on quality curation and user experience, Netflix and Amazon Prime might want to watch their back.